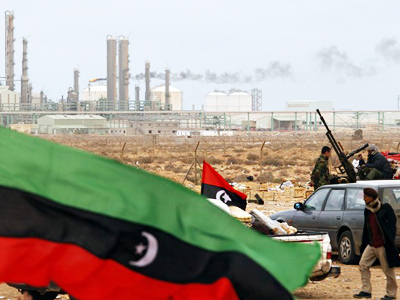 Libyan rebels are pleading for more help from NATO to overthrow Colonel Gaddafi. Locals in Benghazi say that since government troops were forced from the city, there have been shocking revelations about the extreme methods of the current regime. One such revelation is that a secret police facility was located in Benghazi and that Gaddafi himself even stayed there during his visits to the Libyan city. Ordinary people were able to enter the facility for the first time only after the government forces retreated from Benghazi. And when they did, they heard cries for help. First the source of the sounds could not be figured out, but then they found holes in the ground and saw sticks coming out of them. They realized the sounds were coming from the openings, which turned out to be ventilation holes for a huge secret underground prison which nobody ever knew about. 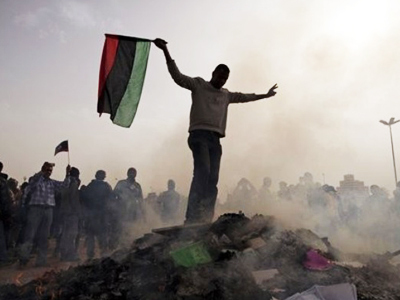 When the revolts in neighboring Egypt and Tunisia earlier this year spread to Libya, open protest against Gaddafi was met with a brutal response, with demonstrators gunned down. 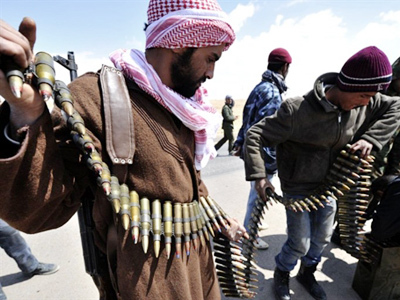 The rebel stronghold of Benghazi came under sustained attack by government forces that had been driven out. The city was almost re-taken before NATO planes began air strikes against Gaddafi, under a UN no-fly zone resolution. 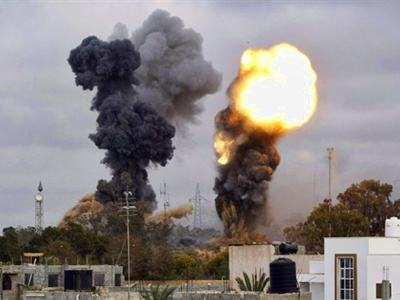 With NATO bombing Gaddafi’s forces from the air, the rebels quickly advanced west, even reaching the Colonel’s hometown Sirte – around halfway between Benghazi and the capital, Tripoli. 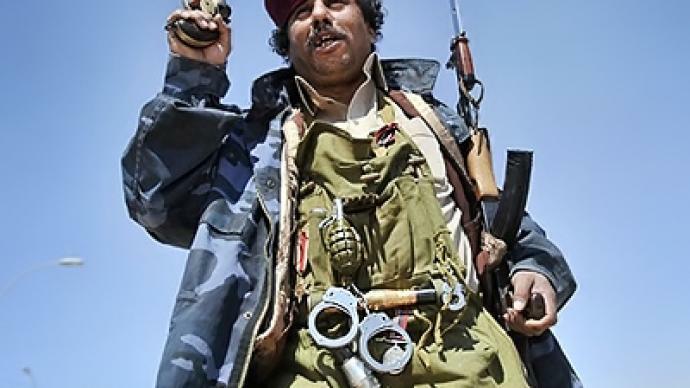 However, with a shortage of arms and poor organization the rebels are once again being pushed back east by Gaddafi’s superior fire power and better-trained forces. “If the US air cover were withdrawn, Gaddafi would reassert control over the country. 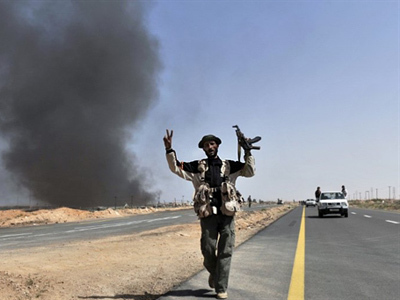 If, however, that rebel army manages to get into the western areas [of Libya] they will carry out a tribal vendetta,” says investigative journalist Webster Tarpley. Many of the rebels are teenagers armed only with AK-47 rifles, but what they lack in military training they make up for in spirit. 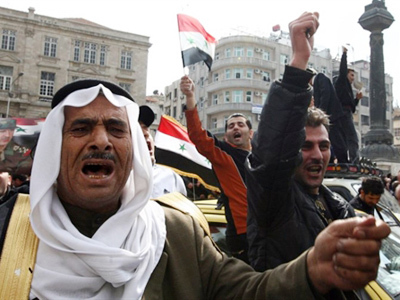 While news of the rebel retreat was greeted with alarm, they are still hopeful of more western support. But in Benghazi there is no compromise on their demand for Gaddafi to go. They say they will fight to the end.